The 61st Annual Delcambre Shrimp Festival is underway in Delcambre, Louisiana at the Delcambre Shrimp Festival Grounds, located at 701 W. Main Street, Delcambre, LA 70528. 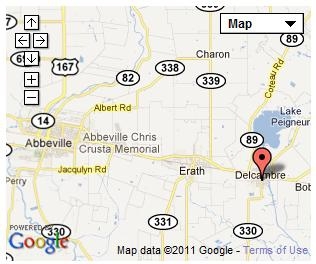 The town of Delcambre, Louisiana is located approximately 20 miles southwest of Lafayette and is home to one of the area's most productive shrimp fleets. The festival includes many events including a shrimp cook-off, Queen's Pageant, Fais-Do-Do's, Food Booths, Carnival Rides and the Blessing of the Shrimp Boat Fleet. There's plenty of fun for "kids" of all ages and lots to see, hear, and EAT ! No matter how you enjoy these tasty crustaceans cooked, you'll find a variety of culinary delights to please your palette. 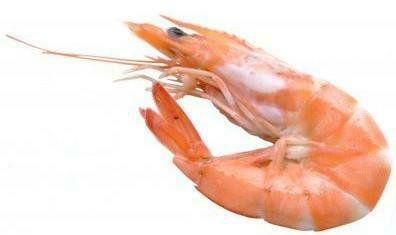 As Forrest Gump's friend Bubba proclaimed, "...shrimp is the fruit of the sea. You can barbecue it, boil it, broil it, bake it, saute it. Dey's uh, shrimp-kabobs, shrimp creole, shrimp gumbo. Pan fried, deep fried, stir-fried. There's pineapple shrimp, lemon shrimp, coconut shrimp, pepper shrimp, shrimp soup, shrimp stew, shrimp salad,..."
10:00 am Fisherman's Mass at Shrimp Festival building followed by the traditional "Blessing of the Fleet"
i List For Less is no shrimp when it comes to providing information on upcoming events or sharing details about the Delcambre real estate market. We can help with your purchase or home sale in Iberia or Vermilion Parish. Give us a call. This Photo COULD Save Your Life! Protect Louisiana Homes From Transfer Taxes! FREEZE Your Property Value in Lafayette, Louisiana!